Unique Group’s Survey Equipment division has recently purchased new hydrographic surveying equipment to further upgrade its rental pool. The purchase includes two Edgetech 6205 Swathe Bathymetry Sidescan Sonars and a Reson T50P Multibeam Echosounder, and will be available on rent to customers from the Group’s Aberdeen office. 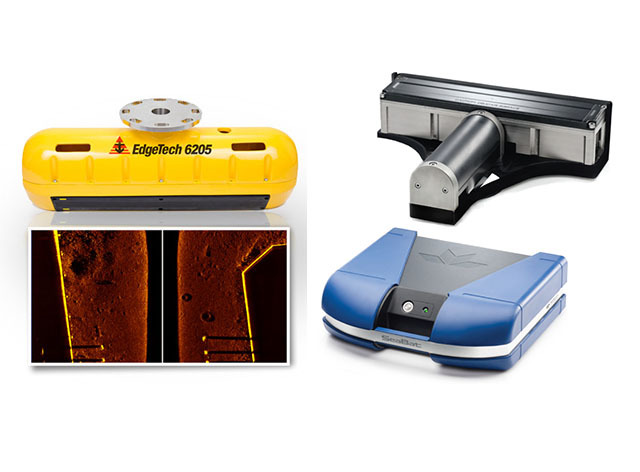 The Edgetech 6205 is an unrivalled, high-quality vessel-mounted interferometric wide swathe bathymetry and sidescan system that offers swathe coverage of over 200º in shallow water when compared to other single head systems. The equipment helps in the faster and safer completion of surveys by providing superior coverage, rejection of multipath effects, reverberation and acoustic noise commonly encountered in a shallow water environment. The versions purchased provide 230/550kHz dual frequency sidescan data with 550kHz bathymetry. The Teledyne Reson SeaBat T50-P is the latest state-of-the-art vessel mounted Multibeam Sonar with distinctive features permitting our clients to perform quick surveys with minimal processing. The system is specially designed for smaller vessel portable use and allows for fast mobilisation, minimal interfacing and low space requirements. Software features such as Water Column Visualisation, Autotrack, Normalised Backscatter and Selectable Beam Density are available with this high specification system. “The SeaBat T50P is an unparalleled sonar that provides extremely clean data with minimal noise and artifacts, thereby minimising data processing which helps reduce client costs.”, he further added. “Over the years, Unique Group has been widely accepted as one of the world’s leading providers of technologically advanced survey equipment. The addition of these systems to our rental inventory will only enhance our already extensive fleet of equipment, with the best of both types of swathe bathymetry technology. The T50P and the Edgetech 6205 can both be utilised with our class-leading POS MV INS systems to give our customers the tools to acquire data of highest quality and efficiency, even in marginal weather conditions”, said Andy Doggett, Director at Unique Group’s Survey Equipment division. The division also purchased the Innomar SES 2000 Medium 100 Sub Bottom Profiler earlier this year. The high-power vessel mounted system provides visual data of very high quality that allows imaging of small buried cables that are otherwise extremely hard to detect with alternative vessel mounted systems. The announcement of the new equipment purchase is in line with the Survey Equipment division’s strategic plans at the Ocean Business event in Southampton next month. The division, represented by its GSE brand will be exhibiting at booth L12. In addition to a wide array of display products, the newly purchased Edgetech 6205 will also be available on display. If you’re attending Ocean Business 2017 and wish to chat with the team about our products, please contact Andy Doggett (andy.doggett@uniquegroup.com) or Alan Cameron (alan.cameron@uniquegroup.com).